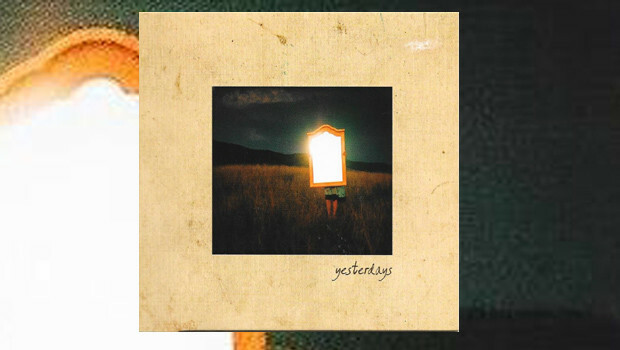 Holdfenykert, originally issued in 2006 and recently re-released by Seacrest Oy Records, is the first album by Yesterdays, a Romanian based but ethnically Hungarian progressive rock band. They started out playing Yes covers so it is no coincidence that their name encapsulates that band as this is clearly a group with its origins and heart in the yesteryears of the more acoustic pastures of classic era prog rock. The sleeve notes emphasise that they do not engage in the ‘loudness wars’ in terms of remastering, and certainly in composition they understand that ‘less is more’ with a range of gentle and heart felt songs. They are fairly well known in their native land and this is regarded as rather a ‘classic’ album. Instrumental opener Napfenykert (Sunlit Garden) introduces the album with a summery feel of acoustic guitar and the swooping flute sounds of Kozma Kis Emese. This sets the scene for the pastoral Vegtelen (Infinite), in which Janosa Kinga sings in her native Magyar over a flute laden track reminiscent of Camel. Ne Felj (Don’t be Scared) heads in a more jazzy direction with some subtle bass playing moving this lightweight piece along pleasantly, and their love of Yes is subtly displayed as the flute weaves in a few distinctive bars from Close to the Edge. The Yes influences are once again evoked by the opening of acoustic guitar instrumental Ha Majd Egyszer (If Ever?) which clearly echoes the opening of And You And I. Usually in reviews I try to limit comparisons to other artists but references to Yes and Camel are unavoidable for this band, and at their best those are fine bands to gain inspiration from and with which to be compared. It’s So Divine is the first English language song on the album, and it skips along in a Camel-like light and flute laden manner, albeit if a little unremarkable. A feeling for this reviewer is that the early songs may have benefited from a little more substance – even beautiful pearls need a little grit at their core! Hol Vagy? (Where are You?) continues Holdfenykert‘s very gentle progress but the song is injected with some life by an electric guitar break 5 minutes in as a metaphorical stone in the pond to introduce some musical ripples. Varj Meg (Just Stay) returns us to the romantic and gentle nature of this album as a fretless bass underpins the ever present flute. Enyedi Zsolt embroiders the final section of the song with a neo-prog synth solo reminiscent of early Marillion, before an understated vocal and Mellotron coda reference to The Beatles’ Strawberry Fields Forever. Title track, Holdfenykert (Moonlit Garden), is a lovely short acoustic guitar and harpsichord piece which with the sound of birds singing brings us to bright sunny upland musical meadows in which we find the main two-part epic piece Seven. This a piece in which the song writer and main player Bogati-Bokor Akos really displays great skill in writing and embellishing an infectiously uplifting song rich in classic Prog sounds. An acoustic guitar quickly gives way to a moog fanfare from Enyedi Zsolt, before a flute introduces some lovely English language vocals from Janosi Kinga. The lyrics are not complex but their simplicity work their way into your heart and brain. This is definitely the most rock oriented song on the album and has the most impact by far. Half way through the song an acapella harmony section leads to an effective counterpoint male vocal, presumably Bogati-Bokor. The song soars along beautifully with guitar, flute and Hammond interweaving dynamically, before floating back to the sweet conclusion of the vocal refrain. Seven is the real highlight of the album and will put a smile on the face of even the most hard bitten listener. Surprisingly and with considerable effect this classic Prog sounding track is then followed by an altogether more contemporary sounding song, Valahol a Terben (Somewhere in Space). The pulsating bass and drums from Csergo Domokos are reminiscent of Massive Attack, but the spiralling guitar line above is pure Prog and evokes images of floating in Space. On perhaps the most interesting track of the whole album the delightful sounding Magyar vocals ripple and echo away enchantingly, but this band could not resist one last subtle Yes reference at the conclusion with a classic Steve Howe-esque slide guitar coda. Written in 2006 Holdfenykert could easily have been produced in the golden age of ‘PROG’ in 1976. Yesterdays by name and yesterdays by nature, this is a band who glory in the sounds and aesthetics of that era, particularly the mellifluous tones of classic Yes. The softly hued nature of the early songs on the album may enchant some or lead others to feel they need a bit more fibre in their musical diet. However, if you let yourself buy into the sunny optimism and hippy nostalgia of this album then the final two songs alone will be a worthy reward for going back to Yesterdays.